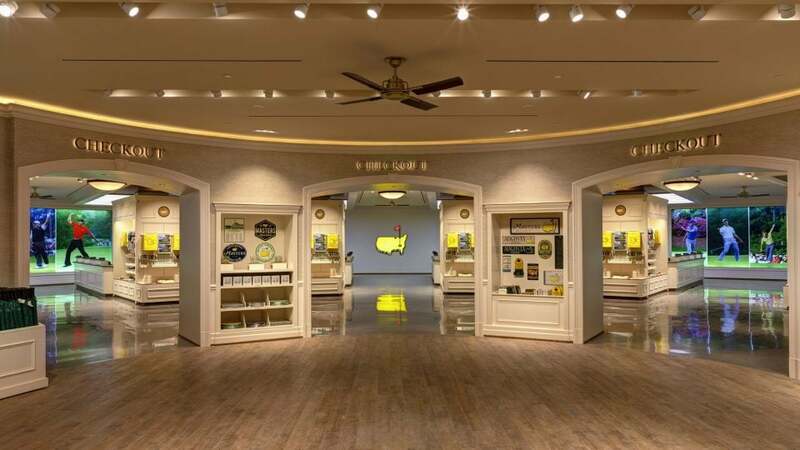 Augusta National's golf shop is one of a kind. AUGUSTA, Ga. — A Masters experience isn’t complete without a stop in the Augusta National Golf Shop. It’s right up there with a walk past Augusta’s fabled clubhouse and camping out at Amen Corner. If you go to the Masters during a practice round, you might get a photo on the course (cameras only, and only during practice rounds!) to post on social media and likely frame. Once official play begins cameras are off limits and the Augusta Golf Shop is your lone option to come away with a memento. Anything from Augusta instantly becomes a conversation starter in your home, a humblebrag on your office desk, or can be used to rib your buddy that you’ve been to the Masters and they haven’t. I do, however, have one piece of advice for you before entering the Golf Shop: Make sure you have PLENTY of room available on your credit card. Augusta’s Golf Shop is where credit limits are pushed to the max and multiple cards are used. 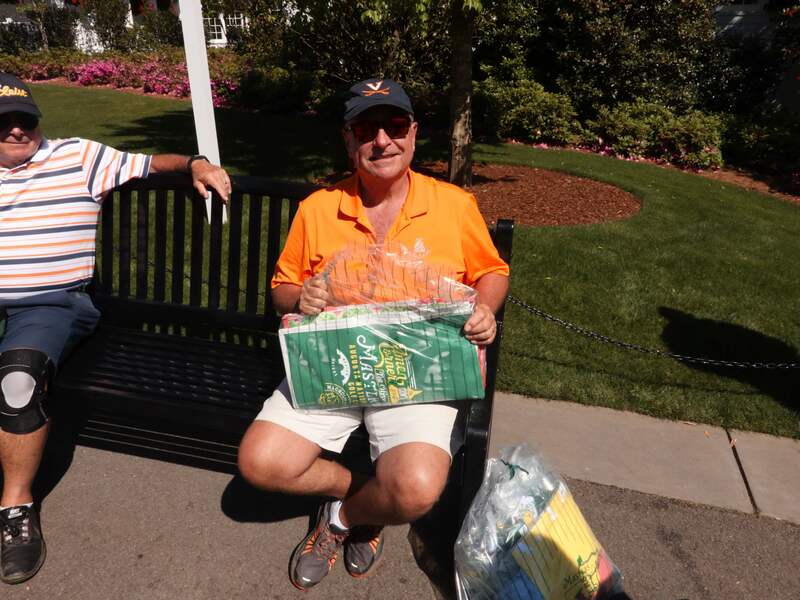 A trip to the Masters is a once-in-a-lifetime experience for many and that means spending mucho dollars on things you may or may not really need. Once friends, family and co-workers get wind of your trip, gift requests will come flying in like your Santa Claus. You might’ve won the Masters lottery but you’ll need to win the real lottery to pay off your shopping list. I was given fair warning from my GOLF co-workers ahead of time. This is my first trip to the Masters, after all. You know how you take a trip to Target for “one thing” and next thing you know you’re struggling to carry all of your bags on the way out? It’s the exact same experience at Augusta…just WAY more expensive. I spent a cool 650 bucks and honestly, I was impressed with my self-control. I could’ve easily gone over a grand had the shop been less crowded to sort through some other items I probably would’ve snagged. On the way out, I asked a few other people exiting the shop about their expenses. 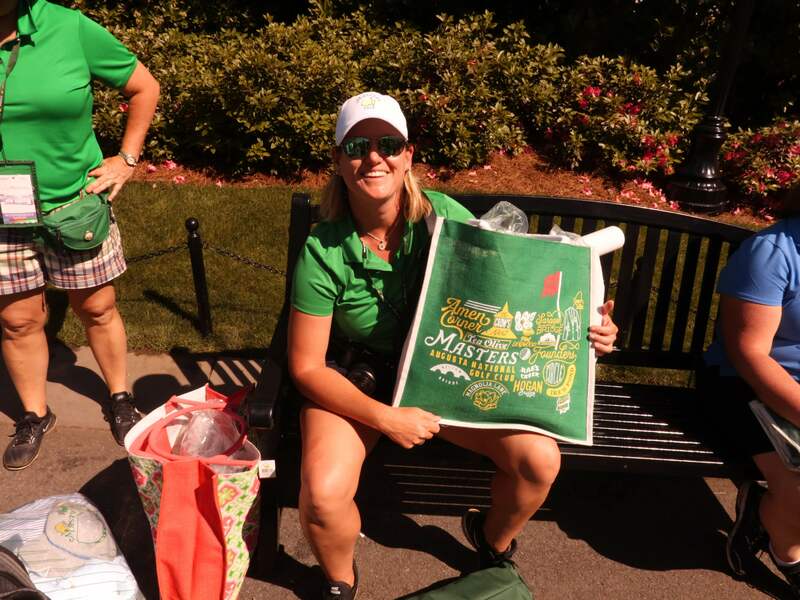 Heather Hingson is ready to show off her purchases at her Masters party Sunday. Steve Urbanski, Hilton Head, S.C.
Augusta Golf Shop thoughts: “There was an endless amount of options. It was nicer than I expected in there. Clint Miller went home with plenty of gifts for family and friends. 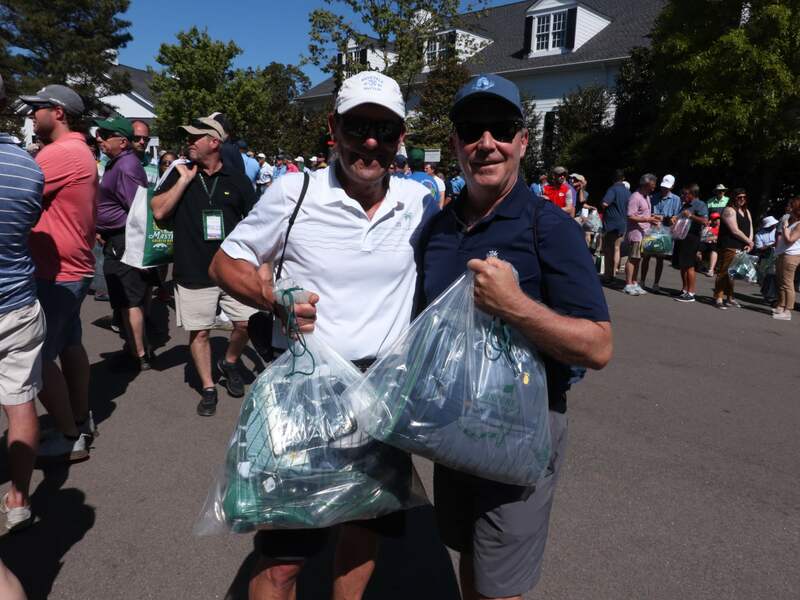 Frank Rasato and a friend gleefully hold their Golf Shop bags. The moral of the story is money spent at the Augusta National Golf Shop doesn’t really count…until your April credit card statement arrives.